Philip II was also called Philip Augustus, or Philippe Auguste in French. He was King of France from 1179-1223. One of his greatest accomplishments was the re-capture of many French territories from the English. He was also the king who created the maréchal de france. In 1185, Philip made Henri I Clément the first marshal of France. Philip went on the Third Crusade. Philip's father was Louis VII. His mother was Adela of Champagne. In 1180, Philip married a girl named Isabella. Their son was Louis VIII. Isabella died in 1190 and Philip married Ingeborg. 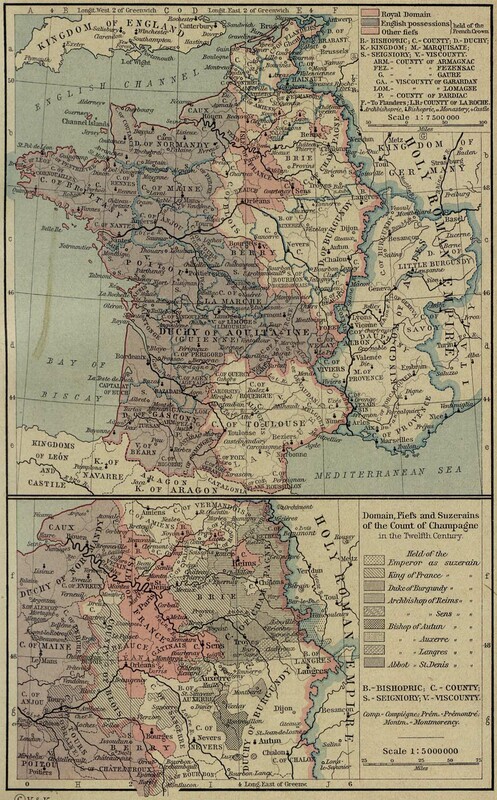 At the time, England dominated a considerable part of France, i.e. Normandy, Maine, Anjou, Touraine, Aquitaine, and Brittany were all in English hands. Philip successfully fought English kings Henry II, Richard I, and John and won back most of the French territories.